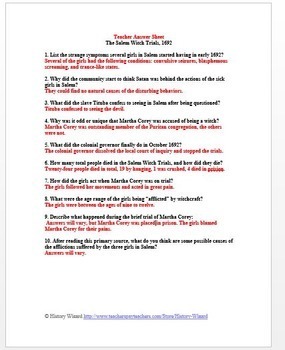 This worksheet allows students to use a primary source document to learn about the Salem Witch Trials. 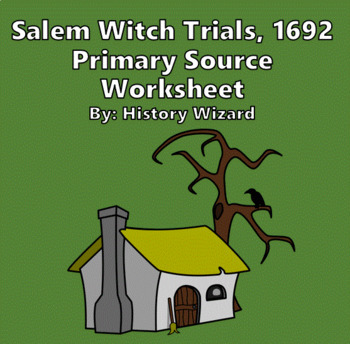 The primary source document is labeled (The Salem Witch Trials, 1692). 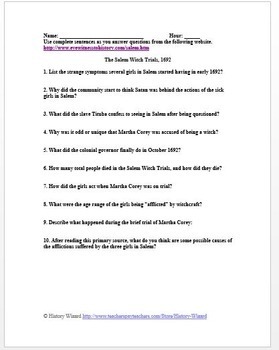 Please check out my Explores and Colonization Collections and Individual Lessons Plans! 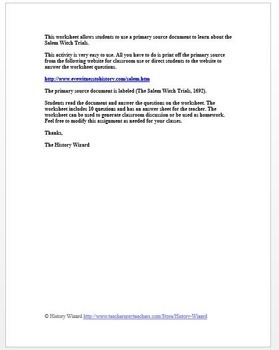 Please check out the following lesson plan collections that have some or all of my Explorers and Colonization lesson plans.